It was during a routine shopping trip with his mum that Lewis, age 7, saw the food bank trolleys in Asda, Grantham. He innocently asked why they were there and wondered what they were for. He thought someone had just forgotten their shopping and was concerned they would be hungry. Lewis’s previous school used to donate to a food bank so he had taken things in before but he did not understand why. He and his mum spoke a bit more about why food banks exist, and mum explained that sometimes people could not afford enough food and need help. His mum said, “I asked Lewis if he would like to help some children who didn’t have as much as he had and he said yes. I had heard about the ‘Reverse Advent Calendar’ idea from a friend and asked if Lewis would like to give something every time he opened a window on his Advent calendar at Christmas. He really liked the idea and chose to take part”. 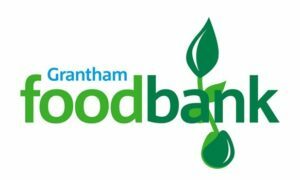 We didn’t know at that time that GANF were also collecting for the Grantham Foodbank and we were originally going to just collect all the items in a box at home and then take it to Asda on Christmas Eve”. Lewis, from Trent Bridge class at Ambergate, enjoyed picking out things like pasta and pasta sauce, rice, tins of beans and soup. He also picked toothbrushes, toothpaste and other toiletries as we had been told they were also needed. After our school collection finished Lewis, along with his mum, collected the last few items from home including a few selection boxes and took them to the Food Bank Trolleys in Asda. Next: Next post: Swimarathon Success!